The Maryland LP spring convention will take place on Saturday, March 10, at the Crowne Plaza hotel in Annapolis, from 4:00 to 8:30 pm. The Crowne Plaza hotel is located at 173 Jennifer Road, Annapolis, MD 21401. The phone number is 410-266-3131. 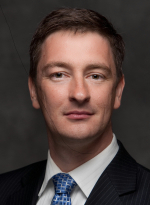 Libertarian National Committee Chair Nicholas Sarwark will be the banquet speaker. Cost: $60 if paid by midnight February 28 (pay here or mail check to “Maryland Libertarian Party”, Box 176, Abingdon, MD 21009). $70 after February 28th, online registration closes at midnight March 6th. There will be no at-the-door sales. There is no charge for only attending the Central Committee meeting. Full details of the convention are in the upcoming issue of the Free?StateLibertarian newsletter, which will be mailed to state party members next week.